Bali Barat National Park comprises mangrove forest, coastal forest, monsoon forest, lowland rain forest, savanna and sea grass vegetation types, coral reefs, sandy beaches, and both shallow and deep sea waters. This Park has 175 species of plant, 14 of which are endangered species like bayur (Pterospermum javanicum), ketangi (Lagerstroemia speciosa), burahol (Stelechocarpus burahol), cendana, or sandalwood (Santalum album), and sonokeling (Dalbergia latifolia). 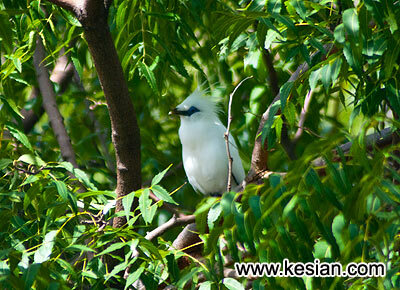 As well as the Bali starling (Leucopsar rothschildi), an endangered and endemic species, the Park also has other birds such as the black-winged starling (Sturnus melanopterus), yellow-vented bulbul (Pycnonotus goiavier), and black-headed ibis (Threskiornis melanocephalus). Among the animals to be found here are banteng (Bos javanicus javanicus), barking deer (Muntiacus muntjak nainggolani), marbled cat (Pardofelis marmorata), pangolin (Manis javanica), Southeast Asian porcupine (Hystrix brachyura brachyura), and lesser Malay mouse deer (Tragulus javanicus javanicus). 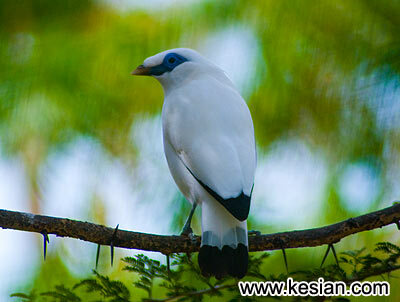 The Bali starling, the mascot of the Park, loves a clean habitat and has a short flying range. Being easy to catch, this species needs special care and protection to safeguard its decreasing population. Altitude 0 - 1,414 m asl. Kapal: diving and snorkeling. A shipwreck forms a haven for several coral species, one of which is Acrophora sp. which has a diameter of 75 cm. 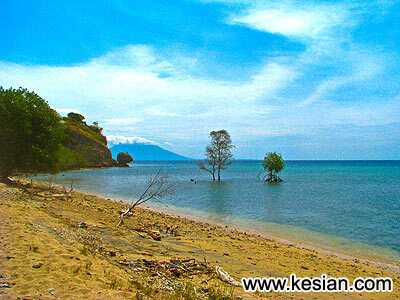 Menjangan Island, Pos Satu, Pos Dua and Tanjung Gelap: diving and snorkeling. Krepyak and Sumberrejo: animal observation. Lintas Laut Monument and Makam Jayaprana: sites of cultural interest. Cultural attractions outside the Park include Mekepung, Kendang Mebarung and Jegog which are held in Negara during September and October. Best time of year to visit: August to December. From Denpasar; Denpasar Singaraja Gilimanuk or Denpasar Negara Gilimanuk by car (85 km).